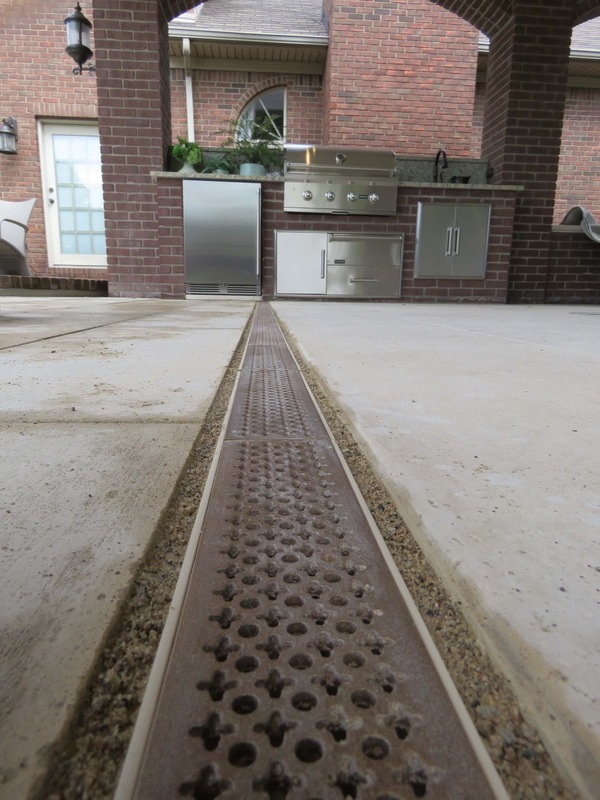 The NDS® Micro Channel drainage system has a narrow design engineered to catch runoff in pool and spa applications. 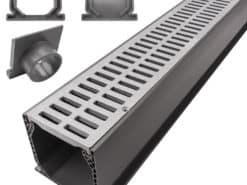 Considered heel-proof, Micro Channel’s integrated narrow grate openings allow the plastic channel drain to meet ADA requirements. NDS® Micro Channel product line contains channel accessories that increase the system’s design flexibility, allowing more complex layouts while maintaining a high water evacuation rate. T-sections, and 90° and 45° channel elbows improve the design range. End, bottom, and side outlet channel sections allow for the most efficient drainage route available. DrainageKits.com offers Micro Channel kits in 10 foot lengths (supplied in 2 – 5ft sections) for easy delivery to your home. Choose from White, Sand, or Grey. Don’t forget to check out Micro Channel Parts to customize your run. Micro Channel trench drains can be field fabricated for custom lengths. If you are needing a longer length, you may order another kit or contact us for a quote. We would be happy to provide one. "Wow - your response was ridiculously quick!!! Thank you. I appreciate your advice." "Thank you so very much for the help with my order. I appreciate it greatly. The drain arrived today, so my concrete goes in tomorrow, and pool days are just around the bend. Thanks so much!" "Very knowledgeable and very patient in helping me determine the best fit for our project, as well as following thru with placing the order. If future drainage needs arise, DrainageKits.com will be my first contact; their service was most appreciated." Show off your Project !! We would love to see your installation! When you're finished, snap a picture and email it to us at photos@drainagekits.com. We just may feature it in our store!